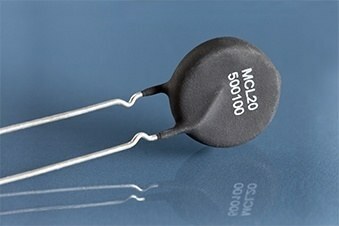 The News: Ametherm introduces a new PTC circuit protection thermistor with an industry-high 680 V voltage rating. The Context: With its industry-high voltage rating, Ametherm’s MCL20 500100-A can withstand hundreds of hits of maximum inrush current without degrading. The device offers a short reset time, and as a PTC thermistor a quick reset will not result in a large inrush current, as its resistance is already at a high state. The result is extremely high reliability and stability in high-voltage applications. With a 19 mm diameter, 9 mm maximum profile, and 7.8 mm lead spacing, the MCL20 500100-A provides designers with a more compact and cost-effective alternative to combining a power resistor, relay, and timer on one circuit to achieve the same functionality. Availability: Offered direct or through Ametherm’s network of distributors (https://www.ametherm.com/distributors), samples and production quantities of the MCL20 500100-A are available now, with factory lead times of seven weeks. Request a Sample: Call 800-808-2434 (toll free in the United States) or 775-884-2434 from outside the U.S. and Canada.